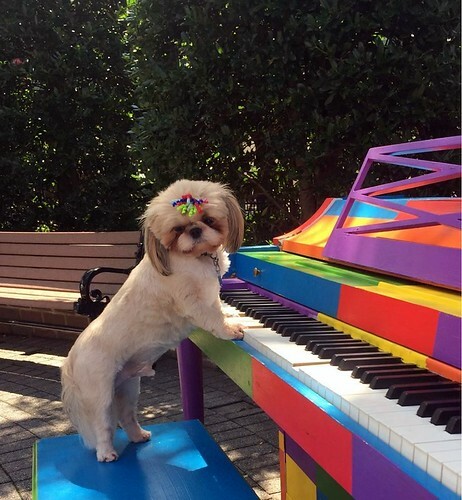 The summer isn’t officially over but we want to take time to thank some people who helped make downtown Cranford pretty special this season and prove it really is “Cooler in Cranford.” Hands down, our colorful public piano was the big hit. Our thanks to the Lafferty Family who donated the piano, CHS students Ben Romero, Rob Zanfordino and Erin Joyce who painted it and people of all ages who sat down to make music to the delight of onlookers. 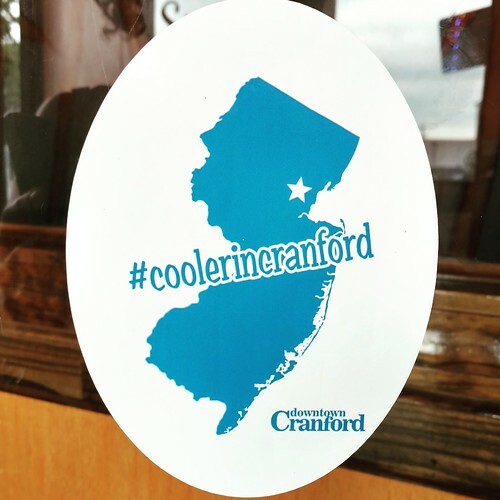 A big thanks to our “Cooler in Cranford” sponsor, Realtor and Cranford resident Sharon Steele. We love seeing kids around town wearing their cool t-shirts and spotting the decals in store windows. 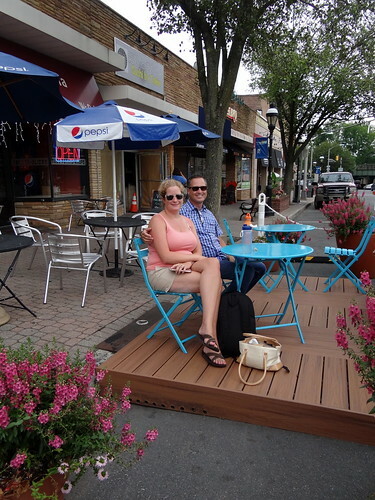 Our parklet, sponsored by Needlepoint Homes, Barbara Zeckman of Cranford Area Happenings and Sharon Steele, offered a special spot to relax with coffee, lunch or just people watch. The parklet is packed up until next Spring but we’ve moved the large flower pots to the North Avenue entrance of the train station so people can continue to enjoy them. The summer season kicked off with the annual Sip & Stroll organized by the Cranford Woman’s Club and this year’s event drew a record number of shoppers. We were entertained with a Kid’s Cabaret done by the Play Theatre. And inspired at Fit & Fun by Sharon Fit Belly Dance & Fitness, Arthur Murray Dance, Hilltop Bicycles, Hot Yoga Revolution and Bella Organici. 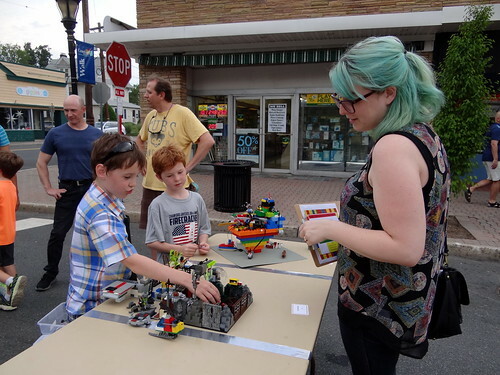 Our annual LEGO Contest brought out more than 40 children who once again came up with fantastic and impressive creations. And, thanks to our judges Lauren Antolino, children’s Librarian, James DellaVecchia of The DellaVecchia Group and Tom Vigliante of Hilltop Bicycles. The dog days of summer were more fun because of the 42 dogs entered in our photo contest. Thanks to their owners for snapping the pictures and sharing them on Facebook. And, thank you to Just 4 Pooches for the doggie gifts for winners and all participants. This year, more than 200 turned out for the annual Rock the Streets yoga event sponsored by Alluem Yoga. And, we saw many of them later around town and at our restaurants. The summer season will conclude on Saturday, Sept. 16 with the annual Community Paint Out organized by The Artist Framer. But, the fun doesn’t end because the 10th Annual Scarecrow Stroll is coming up on October 25. We have a few more thanks to people who help create a special atmosphere. All the residents and business owners who painted tiles that are displayed in the pedestrian walkway next to Simply, Jessica Dreyer of Dreyer Farms who guides us on all of the flowers and plantings and Rui DeJesus and Will Robinson who water and tend to the flowers and keep downtown clean.